A newly unearthed photo showing blurry figures on a dock may shed light on the 80-year-old mystery of what happened to Amelia Earhart. A new History channel documentary quotes experts who say the image shows the famed pilot survived her 1937 crash in the Pacific. But other experts told CNN they aren't convinced and say the photo is just another in a long history of unproven theories about the aviator's disappearance. "I don't blame people for wanting to know," said Dorothy Cochrane, curator for the Aeronautics Department at the Smithsonian National Air and Space Museum. "It is one of the greatest mysteries of the 20th century because she was so well known." Earhart, the pioneering aviator who became the first female pilot to fly solo across the Atlantic, famously disappeared with her navigator Fred Noonan on July 2, 1937, while attempting to fly to Howland Island in the Pacific Ocean. Her fate has been a figure of fascination, and professional and amateur investigators have offered many theories over the years on what happened to the daring pilot. 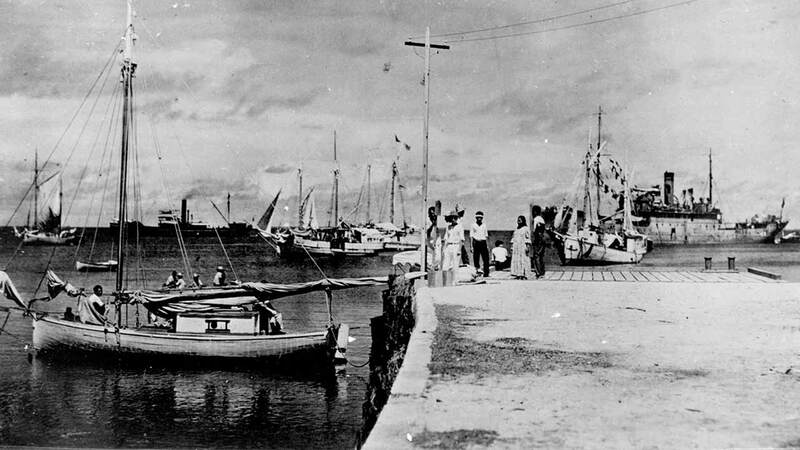 The photograph, recently discovered in the National Archives by former US Treasury Agent Les Kinney, allegedly shows Earhart and Noonan sitting on a dock on Jaluit Atoll in the Marshall Islands. Publication of the image comes in advance of the network's two-hour special, "Amelia Earhart: The Lost Evidence," which airs Sunday. An expert in facial recognition said the hairline of a man standing at far left in the photo matches that of Noonan, while the torso measurements and short hair of a person sitting on the dock matches that of Earhart, according to a clip shown on NBC's "Today." The expert came to this conclusion by comparing Noonan's nose, teeth and hairline to the man in the image. He then used Earhart's torso measurements to compare her with the other figure. The documentary also says that a blurry form in the background, on the far right beyond the bow of the large ship, appears to be Earhart's plane. The photo could support the documentary's theory that Earhart and Noonan crashed in the Marshall Islands and were captured by the Japanese military. This means the duo could have died in Japanese custody on the island of Saipan rather than in a crash landing, according to the History channel. The image would corroborate witness accounts who have previously said they saw the Electra aircraft land and the pair in custody, History says. It also supports speculation surrounding pieces of metal discovered in 2014, which were thought to be a part of the plane. But other experts aren't convinced the image proves much of anything. The Smithsonian's position, according to Cochrane, follows the commonly held belief that Earhart and Noonan had communications problems and couldn't find Howland Island. They then ran out of fuel and crashed into the Pacific Ocean somewhere near there, she said. Anything further than that is largely unproven theorizing, she said. "It's not the exciting theory. It's not the attention grabber," she said. "I would prefer to think that she had more of a quick exit via a crash in the ocean rather than capture by the Japanese ... but that's neither here nor there. (That's just) wishing her a speedy end rather than a nasty one." Cochrane said she has seen the new photo from the History documentary and called it "interesting" but "not definitive." "People take photos and interpret them, and they're free to do that," she said. "It has not persuaded me." Did she die a castaway? Richard Gillespie, a board member of The International Group for Historic Aircraft Recovery (TIGHAR), was similarly skeptical of the documentary's photo, which he became aware of more than a year ago. "I don't believe there is legitimacy to this," he told CNN. Gillespie said he looked into the photo and believes the person sitting down has too much hair to be Earhart and that the alleged Noonan figure has the wrong hairline. Gillespie and TIGHAR have their own theories about Earhart's fate that don't square with the documentary. They think the aviator survived a rough landing on Gardner Island, a remote atoll in the southwestern Pacific, but died soon after. "We believe she died as a castaway," he said. "All evidence points to that. We have a photo that forensic analysts have looked at -- a photo taken three months after Earhart's disappearance -- and we can't say for sure but it appears to be her landing gear ... that matches the records of the flight." In any case, Earhart's disappearance remains an intriguing mystery that appears to have no firm conclusion in sight. "The world was following her," Cochrane said. "So it is really someone (who) drops off the face of the Earth. Naturally everyone wants to know what happens."